Following the popularity of the recent Best Books for Wild Swimmers article, I thought I’d start a discussion around the best books about cycling. 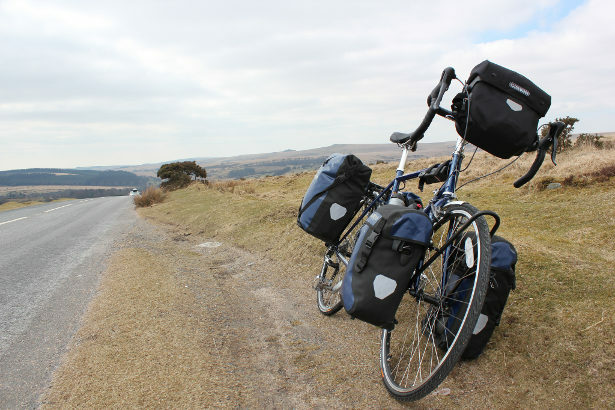 Being an adventure website and as I’m about to set off for a 12-month cycle to Australia, the focus is on cycle touring books, but all recommendations are welcome. Adventure Cycle-Touring Handbook by Stephen Lord (Amazon.com): The book for anyone planning an adventurous tour by bicycle. Bike Touring Survival Guide by Friedel and Andrew Grant (Amazon.com): Great practical touring book from the authors of the amazing Travelling Two website (where you can get a free mini ebook on cycle touring). How to Cycle Around the World by Tim Moss (Amazon.com): It would be remiss of me not to mention my own book. How to Get to the North Pole and Other Iconic Adventures features a whole chapter on how to cycle around the world with contributions from many round-the-world cyclists and record breakers. Moods of Future Joys by Alastair Humphreys (Amazon.com): One of my favourite adventure books. The first part of his four year cycle around the world on pennies saved from a student learn. All of Al’s books are great. The Wind in my Wheels by Josie Dew (Amazon.com): A collection of tales about her various trips. Makes you itch to get out on your bike. She has written several others, but this is a good overview. Full Tilt: Ireland to India with a Bicycle by Dervla Murphy (Amazon.com):I’d recommend everything by Dervla Murphy, but this classic is about her first cycle trip. Other good ones include The Ukimwi Road, a fascinating account of her journey around East Africa in the context of the HIV crisis, and this one, which recounts her chilly journey through Baltistan in winter with her 6-year old daughter. Cycling Home from Siberia by Rob Lilwall (Amazon.com): A great story which takes Rob from the depths of a Siberian winter (with Al Humphreys, above) and through a scary sounding Indonesia on his way back to the UK. Janapar: Love on a Bike by Tom Allen (Amazon.com): An honest account of a guy (my mate Tom) who goes off cycling, meets a girl and gets a bit confused. Also a feature length film. I’m also looking forward to reading The Weave of the Ride by Andy Welch (Amazon.com) and Desert Snow by Helen Lloyd (Amazon.com). French Revolutions: Cycling the Tour de France by Tim Moore (Amazon.com): A wonderfully entertaining account of a very amateur cyclist attempting to follow the route of the Tour de France, including trying EPO drugs from a pharmacy and urinating from the saddle like the real riders. It’s Not About the Bike by Lance Armstrong (Amazon.com): Although you may now be inclined to reply “No, it’s all about the drugs”, this is still a remarkable story of a man’s fight back from cancer. Lance Armstrong: Tour de Force by Daniel Coyle (Amazon.com): A fascinating insight into the world of the Tour de France and Armstrong’s mind, from a sports journalist who follows him through the 2005 Tour. This is just a select few that I’ve read and enjoyed. What have I missed? What would you recommend? Add your suggestions in the comments section below. Into the Remote Places by Ian Hibbell has got to be included in the Adventure Cycles Stories. It must be be one of the very best. A wonderful account of some of the immense challenges he set himself. Not read any Anne Mustoe. Thanks for the tip. Around the World on a Bicycle, Thomas Stevens. The first ever, in 1884, with an “Ordinary” high wheeler and a pistol. Lost Cyclist, by Frank Lenz. Captures the flavor of the early bicycle adventurers of the 1890’s. Around the World On Two Wheels, Peter Zheutlin. The story of Annie “Londonderry” Kopchovsky, first female around- the-world bicyclist in 1894, who carried many shocking secrets with her. Cold Beer and Crocodiles, Roff Smith, who circumnavigated Australia. Well written. The Long Ride, Lloyd Sumner. 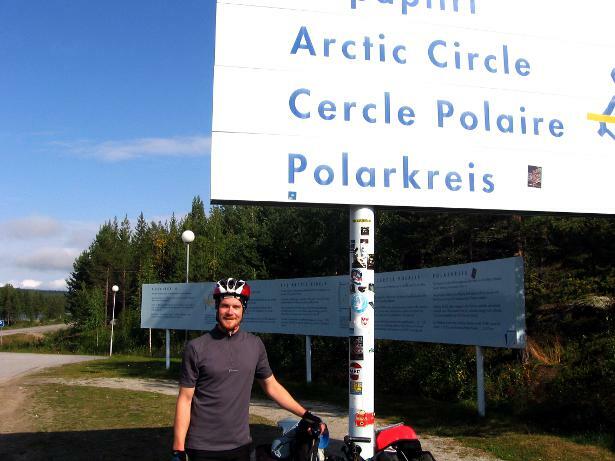 American who circled the globe for 4 years, starting with $200 in his pocket. Moods of Future Joys and Thunder and Sunshine, Alaistair Humphreys. Really great reads. Cycling Home from Siberia, Rob Lilwell. After reading about Rob in Alaistair Humpreys’ books, I was pleased to find that he had written his own book. And what a tremendous story, pedaling through New Guinea and the mountain passes of Tibet and Afghanistan. Who does these things??! Ultimate High, Goren Kropp. Highly inspirational tale of the Swedish adventurer who cycled to Mt. Everest, climbed it, got on his bike and cycled back home to Sweden. Pedaling to Hawaii, Steve Smith. His account of Expedition 360 with Jason Lewis, from England to Hawaii. The Expedition, Part 1, Jason Lewis. His account of Expedition 360, parts 2 and 3 forthcoming. Beyond the Horizon, Colin Angus. The first, hotly disputed, circumnavigation of the planet by human power. Also a great adventure book, full of physical ordeals, feuds, and triumphs. “It’s all about the bike” by Robert Penn is a great read. A bit geeky but then I’m a bit of a geek! That’s interesting – it’s been a few years since I read it, but I remember Cycling Home from Siberia as being a strong contender for my favourite cycle touring book! It seems to be quite an opinion-splitter! The reviews on Amazon are very mixed. I just didn’t find his writing style engaging at all, which was such a disappointment because the trip he writes could make such a wonderful story! I loved Cycling Home from Siberia! Good call on Pedalling to Hawaii, that’s a great read. I retract all negative comments about Rob Lilwall’s book! Sorry Rob, now I’m a published author myself I realise how pointless comments like that are – only making myself look mean and making the author feel rubbish about the work they’ve created. Who cares if I don’t like it? Many others do, and that’s all that matters! Its all about interest. I love cycling but cannot ride :( I will prefer to buy some good guide books. The Carbon Cycle by Kate Rawles is an excellent and gripping read on both riding and Climate Change.